Employees appreciate a leader who's respectful, supportive, honest and compassionate, according to an informal survey of CNN readers. And most of all, they don't like to be micromanaged. Great bosses are rare. But it's really not that hard to be one. 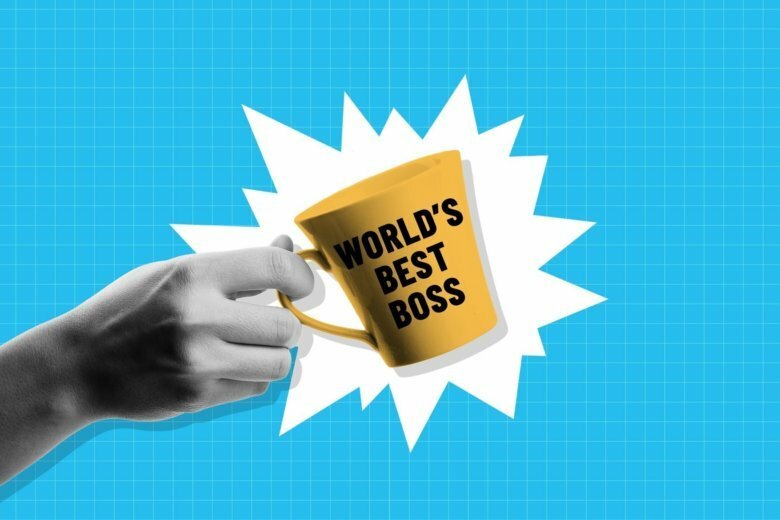 If being a great boss is something you aspire to — or just secretly wonder if you are — check yourself against these five characteristics. Great bosses are rare. But it’s really not that hard to be one. Employees appreciate a leader who’s respectful, supportive, honest and compassionate, according to an informal survey of CNN Business readers. And most of all, they don’t like a micromanager. If being a great boss is something you aspire to — or just secretly wonder if you are — check yourself against these five characteristics. If you hire someone for their skills, experience and good judgment, then do not spend your days telling them exactly how to do their jobs. “[My current boss] trusts that I am a veteran professional and does not micromanage,” said high school teacher Michael Cowan 50, of Grosse Pointe Farms, Michigan. And the best bosses’ extend their trust even when someone makes a mistake. Trusting your team may even help with employee retention. “I am in this job longer than I have been in any other and it is primarily because of the trust and support I feel from my leadership,” said 39-year old attorney Douglas Wawrzynski, who works at a research university in Utah. You need to genuinely respect who’s working for you as employees and as people if you want the best from them. “My boss respects all his employees and treats us like the important spokes in the wheel we all are. Everyone who works for him appreciates him. Our department gets things done because of him,” said Pat Cody, 66, of Overland Park, Kansas, who works for a dean at a community college. Lawyer and engineer Steven Rocci, 65, of Wayne, Pennsylvania, cited two of his bosses when he worked as an engineer in his 20s. “Both were very respectful. They valued my opinion even though I was young. And that kind of thing motivates you to do better,” Rocci said. Another boss early in his law career told him he’d do great things. “He made you work hard without making you feel like you had to work hard,” Rocci noted. Being an excellent mentor and coach came up again and again. Rashod Taylor, 34, of Bloomington, Illinois, said he had a boss in financial services whose infectious energy and management style reminded him of a favorite coach. “He pushed you but always had your best interest at heart and wanted you to succeed. He was also very positive, which rubbed off on the team. …This is a manager you would walk on hot coals for,” Taylor said. Of course, it can be hard to succeed if your boss doesn’t have your back when the going gets tough. Winnie Anderson, 56, of Lewiston, New York, said an experience working for a retired Air Force Lieutenant Colonel in recruitment at a hotel was one of her best. “He always supported you and your decisions even when the decision wasn’t the best. If a mistake was made, he helped you see it for the mistake it was. He helped you break down the thinking (or lack of it) that led you to make that decision so you didn’t make it again,” Anderson said. Readers said they like to work for bosses who are “transparent” and “honest” and for those who really hear what employees are telling them. Kathy Duff, 54, of Vancouver, Washington, was working for a great boss at a health insurance company when the business was going through a lot of internal changes. “No matter what was happening, she would take the time to discuss with us the company news, future audits, as well as have regular one-on-one meetings with us. We moved out of state, otherwise I would still be there working for her,” Duff said. Jasdeep Sandhu, 26, feels he and others on his team at a pharmaceutical company in London are successful in great part due to their boss, who “shows that empathy is more powerful than aggression” and makes the team feel like a family, Sandhu said. Another reader cited the tough-love approach of her former boss at a county prosecutor’s office. Other than winning their employees’ praise and appreciation, great bosses set the bar for excellence for the rest of people’s careers. HR professional Doreena Muchmore, 42, of Midtown Atlanta, Georgia, said she worked for a role model boss when she was in the software industry.